Kind of Blue - What is happening in the world of Lonville? We like to call it Lonville Gentleman’s Blue. And while Miles’s epic 1959 kind of blue album wasn’t the inspiration for our colour choice of the most elegant Virage, it actually serves as one of Lonville’s favourite soundtracks. How can you not design a Virage when listening to Miles’ cool jazz? The Virage kind of blue dial is a silver colour (it actually contains white gold) with a soleil polish of incredible depth of shine. 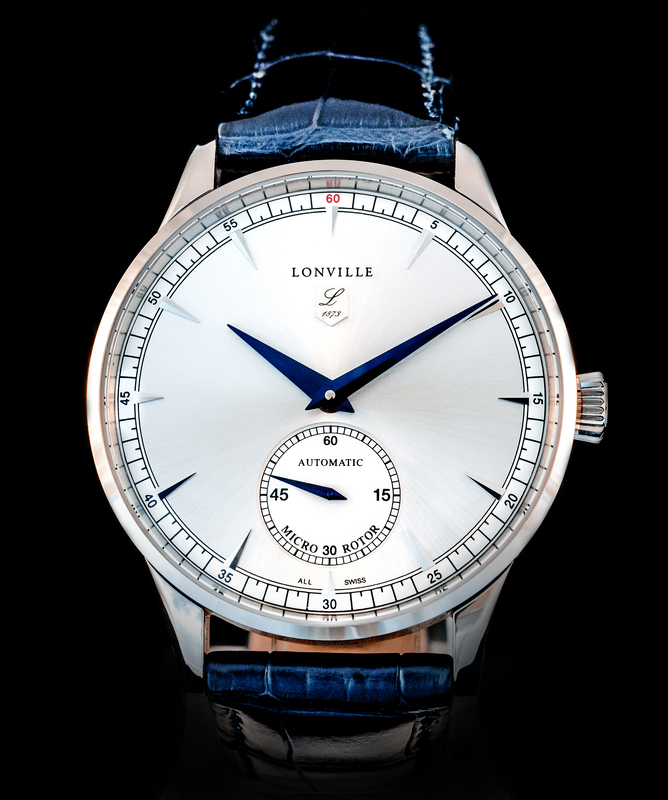 So while the overall design is pure symmetry and understated simplicity, nobody can resist the allure of that dial. Wear it casual with a dark blue shirt and you will stop the traffic. Wear it with a blue suit and you will make grown men stare at you during business meetings. Too much to handle? Nah, this watch never looses it’s cool, it never shouts, it is always understated and will remain a unique sight as it is just one of only 18 pieces that will be made. Ever. The 40mm diameter case is hand-finished 18ct white gold. It features a polished case front and back, while the central part of the case is manually brushed. The contrast is remarkable and has been repeated for the finish of the white gold deployant closure. Following the manual finish of the case, each unit is taken to the Swiss customs office for it’s gold stamps, you cans them on the back of the lugs. The final stamp on one of the lugs is from our master case maker. 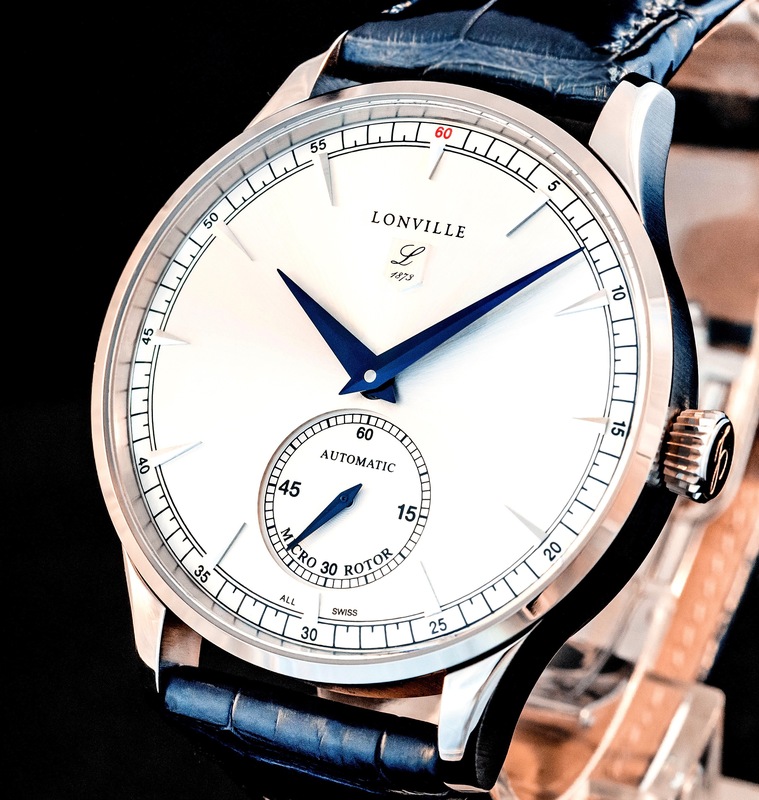 Virage is powered by the Lonville LV1 micro-rotor movement. This individually COSC certified movement is uniquely finished with a blued rotor, blued screws and blue engraving. Let’s say it is kind of blue too, and thus perfectly complements the exterior of the watch. Each movement is designed and created in and around La Chaux de Fonds, the heart of the swiss watch making valley. Each of the 18 pieces of Virage that we will produce is made to order for its future keeper. This includes the owner’s name engraved under the case back sapphire glass, and the actual watch number x/18 showing which number of 18 this specific model is (not shown on the picture, as this is a first production model for our founder).